A detailed account of my various commission/hobby projects. 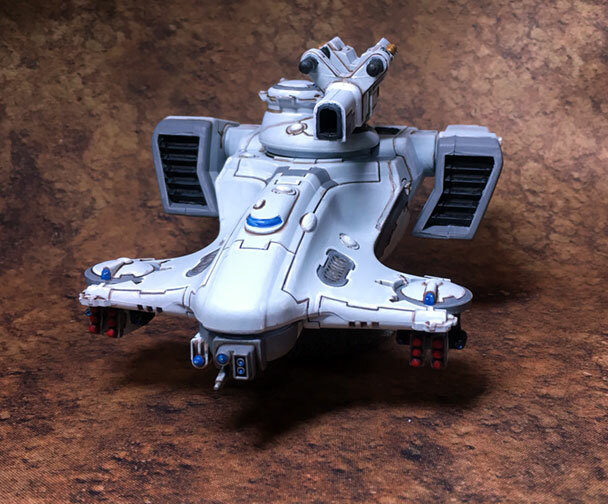 Warhammer 40,000 – With changes to the points costs for several Tau units one of my clients has opted to add some additional firepower to his existing force. I painted the bulk of said force last year which you can read about here. It sounds like he wants to do a mechanized force backed up by various suits. As there is only one vehicle in this batch I expect that there will be many more as the year progresses. Share book reviews and ratings with Josh, and even join a book club on Goodreads.